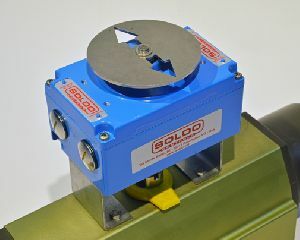 The Soldo SP series limit switch box provides a compact design and the most economical solution for both visual and remote electrical indication of rotary valve/actuator position. Integral NAMUR mounting legs provide additional cost saving by eliminating the need for a separate mounting bracket. The SP series is suitable for use in IP65 weather proof applications. 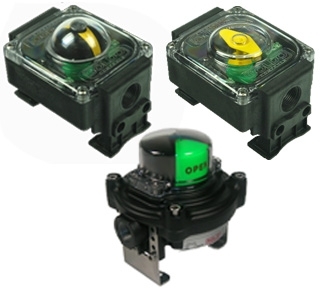 Optionally it can be Exia certified by use of inductive NAMUR sensors and other dry contact switches. 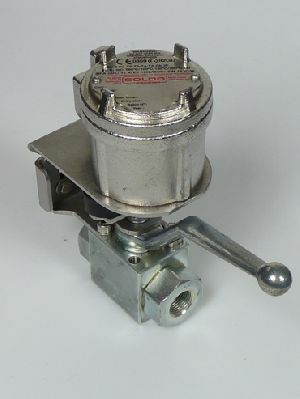 Designed for use on all quarter-turn actuators requiring a certified explosionproof limit switch box. The Soldo SK and SQ range of switch boxes can be installed in refineries, offshore platforms, power plants, petrochemical sites and all areas with ATEX and IECEx ZONE 1 / ZONE 2 rating.